Yes, what are the details of your assets and trail of your income source - Mr Asif Zardari and Mr Pervaz Mushrraf. This is what SC and public want to know! To CJP- Musharraf made millions while delivering speeches in West/US plus his book royalty is extra. He would get $200,000 to $300,00 per speech. He was among the highest paid speakers during his time. Absolutely on the target ! Excellent. This approach to disclosure of assets and bank accounts would definitely teach an accountability lesson to future political leaders. Zardari vs Musharraf. It's like mega looter vs honest soldier who gave so much development for Pakistan. I have a respect for President Musharraf. Thank you for your service. It's shameful to even compare President Musharraf with goons like Zardari and family what an irony of my country. Same JIT headed by Wajid Zia, same members, is the only solution for all corruption cases, especially Zardari, Shahabaz, Musharraf and others. Please come with the past 10 years of financial history and than, we shall all see, why Supreme Courts Judges are so brilliant. Thank you honorable justice of the Pakistan Supreme Court. Issue Red warrant for Musharraf and conficicate his Pakistanis properties without any further delay. The days of blatant lies and theatrics are over. I hope the defendants would stop wasting everyone’s time. The proofs are present already. Pakistani nation is bored and impatient for justice. Gotcha! The noose tightens on these two, finally. Long live Imran Khan. Thieves are on the run. Great move once again, by the wonderful Chief Justice of the Supreme Court, Islamic Republic of Pakistan and his colleagues against those who looted the fertile land and the helpless, feeble, weak, vulnerable and hapless people of the country they ruled with both hands and are roaming around free from the long hands of law and order. Well done and keep it up. For Mr. Zardari the call for the last ten years assets is an insult to him. Please do call for all assets owned and/or disowned by him from the date of his marriage with Ms. Benazir Bhutto. That should be the test case for him. 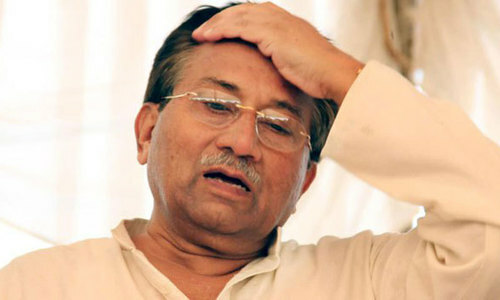 Bad times ahead for Zardari but nothing is going to happen to Musharraf being an ex General. Justice prevail, no one above the law. If Pakistan adopt respecting law things could be wonderful. If they can explain the ownership of assets, please allow them. If they lie under oath, that's perjury and is punishable. 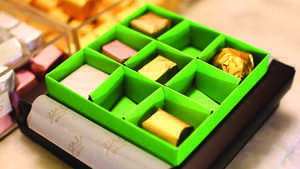 Owning a Dubai apartment can be explained as to where the money came from. Just provide proof of ownership by themselves or family members. @Fazal I doubt. Even Bill Clinton was paid close to $15,000 in Vancouver, where entry fee was $200. How much you will pay to listen him, or how many will go or care to listen to him? @Fazal the court has asked Musareaf. Not you! @Fazal If that is the case no harm done If he submits remittance vouchers/ documents of monies received from his clients for those speeches made on different forums abroad, to the satisfaction of the court to get absolved from accusation. @Fazal : Ok then show the money trail and get acquitted. What's the big deal here? Nawaz Sharif needs to learn from king of corruption, Zardari. Never get caught and never leave the trace. Poor Sindh rural people who are the eventual victims. Zardari should be asked for the details of assets for the last 35 years. Selective accountability is no solution, it has proved a drama show so far and would not be effective as these people have their military, bureaucratic or political protections. If the definition of corruption is acquiring assets or maintaining expenses way beyond your normal income, then thousands of our politicians, army officers, bureaucrats and businessmen will fall into this list. I would suggest to Mr. Imran Khan that if he is sincere in accountability, he should subject all bigfish (including the ones in his party) to audit but under prevailing situation, he should announce complete amnesty to everyone who returns all his/her assets acquired beyond their income to the national exchequer. This way, we can get financial relief and at the same time take a fresh start with our masters that we cannot practically replace. Future corruption can then be prevented by stringent legal reforms against corruption. The flat Musharraf owns was worth about 1.5 million darhams when he bought it . @Imtiaz Ali Khan - Well said. If you believe Musharraf's legal representative explanation then one would question his credentials. As a lawyer he should have given a better account of how his client had acquired so much wealth. I hope this will send a strong message out to all the corrupt leaders of all political parties. Musharraf made a fortune from delivering lectures internationally and as a consulting advisor at $ 2000 per day as a Senior Advisor to world leaders. Stop hounding someone who might have made some mistakes but mostly did good for Pakistan in very dangerous times. When these ex presidents have no assetsto declare then why court is trying g to prove otherwise? @Fazal ..If he was so competent has he ever written an article or given lecture in any Pakistanis University / institutions? What was his academic qualifications? He couldn't answer a question about an excerpt of his book written by another writer may be Gohar namely. I am no supporter of Musharraf, but depending on who you are and where you have been, one can earn millions on lecture circuit. And I am talking about dollars. 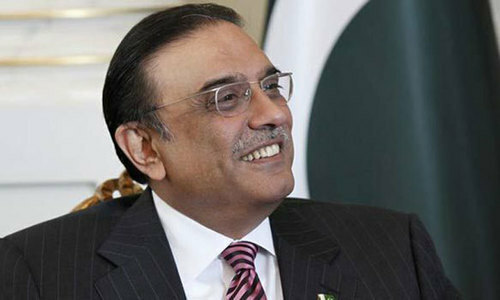 Calm on Zardari's face is telling us that " All is well". 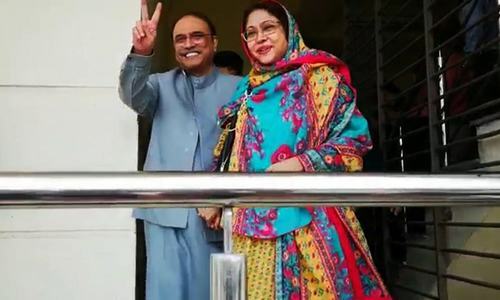 That affidavit if proved false would entail additional sentence for Asif Zardari. Not a good beginning and a good sign for Pakistani new government under new PM. Ex PM NS, and Ex presidents Mr Zardari and Gen. Musharraf are having enough political clout to destabilise the new government. Nothing could be proved against Ex PM NS. In a fair trial he will be a free man soon. How come CJP is unaware ,as to how much famous people like head of states can make money by their speeches. Its beyond imagination. Strange isn't it. Like Zardari, Mariam Nawaz had also confirmed in the TV program that neither she nor her family holds any accounts in Pakistan and abroad. And then Panama Papers exposed her lies. Now it's Zardari's turn! Well Mr CJ why dont you and all SC judges first declare your own assets and bank accounts. Be an example first then do the questioning. @Fazal .Gen(R)Pervez Musharraf is honest man, he got all money through legal means, like his salary,perks, being COAS & President of Pak, yes he gathered huge amounts through lectures, I have seen his lecture on BBC program held by Anchor Zainab Badawi, and Zainab Badawi herself got more than GBP 2mn salary annually. I am sure Gen(R)Pervez Musharraf will face no problem in proving his assets. Buy it’s difficult to say about others. Sometimes the SC of Pakistan is my most favourite institution in the world. Well done, go after all the lying thieves who has misused office, cheated and fooled the common public. @Fazal If he is so clean, why is he an absconder? @Imtiaz Ali Khan Honest soldier?? Need to change the meaning of the word " honest". He is the one who sold Pakistan to the Americans. well done CJP. please continue this and expidiate this process. before you retire pakistan wants to see zardari, nawaz family and their associates who looted pakistan in the last 10yrs behind bars for good...and for mushraf he must explain his assets else return the money back to pakistan or go to jail ! @Imtiaz Ali Khan Same Mr Mushraf kept him in jail for 11 years and proved nothing and same General gave NRO so he can be President. What a clean General. @Fazal Speeches are fair game if declared and taxed. It's the looting that should be clarified. Dear Fazal, i think mushraf earned his money he did not steel money from his country. @Fazal this should be probed by CJP. Only 10 years???? He should be accounted for at least 30 years, when he got married to Bibi and started plundering. Things would move up and down, left and right, back and forth... and finally nothing would come out.... cause PTI needs PPP's support in senate and musharraf is ex Gen. ....so possibility of serving justice is remote.